Summer has finally arrived in Portland and my garden is starting to get thirsty. Every year I tend to rotate and switch the veggies I grow in the garden. Consequently, every year I need to make alterations to the irrigation system to accomodate. My irrigation system is the standard above-ground quarter-inch tubing that connects up to sprayers, drip feeds, and drop hoses — the sort of thing you find in most garden stores. I discovered I needed a few more hose stakes to keep things tidy and in place. Instead of making the trip across town — waiting for the bus or fighting for parking at the local nursery — to buy a $1 bundle of plastic stakes, of which I only needed one or two, I decided to do what any self-respecting maker would do: design some. 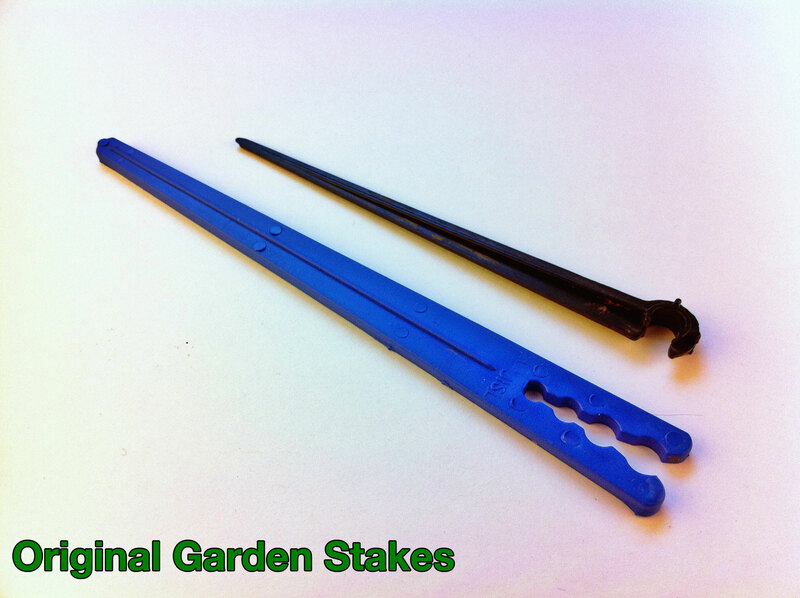 My two irrigation stake designs are based on two I purchased in the past. While the styles are close to the originals, they are not direct copies. Mine are models informed by the originals, but while the originals are optimized for injection molding, these are optimized for layered printing. 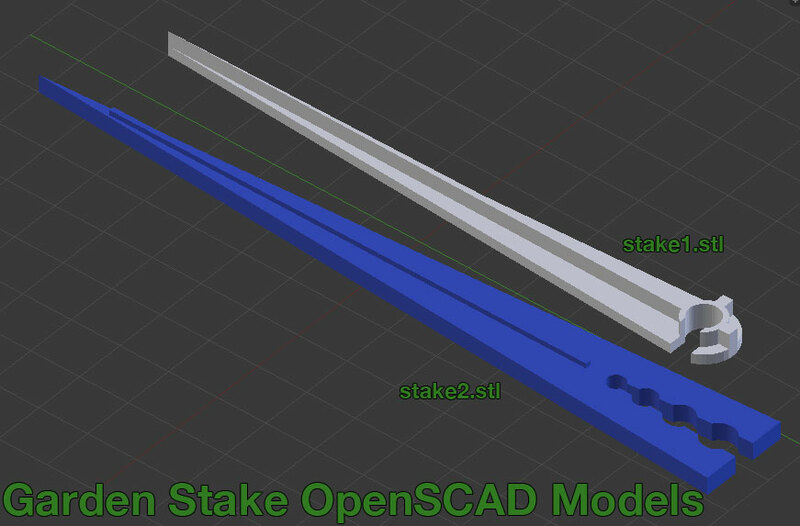 The OpenSCAD source files are also available and highly parameterized and commented, should you need different sizes.